step 1. 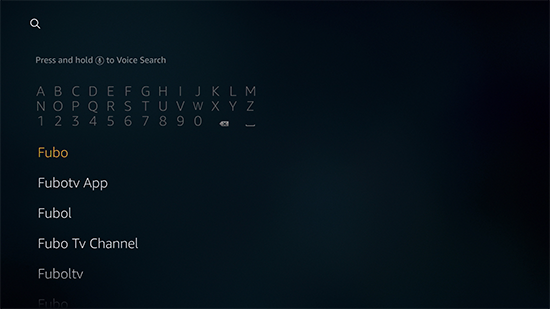 Select Search on the Amazon home screen and search for Fubo. step 2. 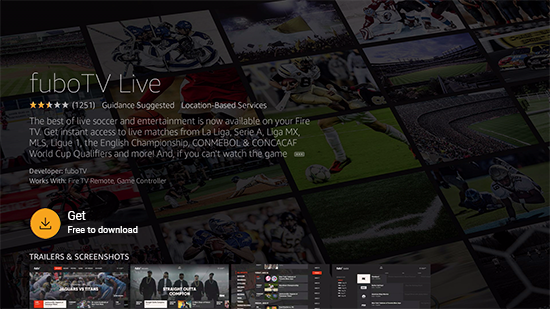 Choose you in the field Apps & Games Option fuboTV out. step 3. 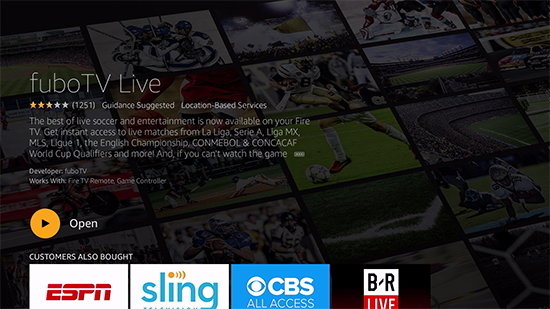 Choose you Recall, download the fuboTV app and install. step 4. 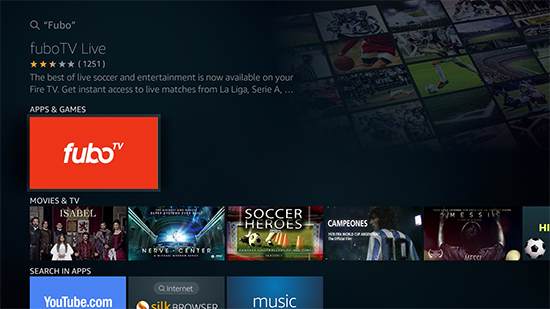 Select the installation is complete Open , to start the fuboTV App.